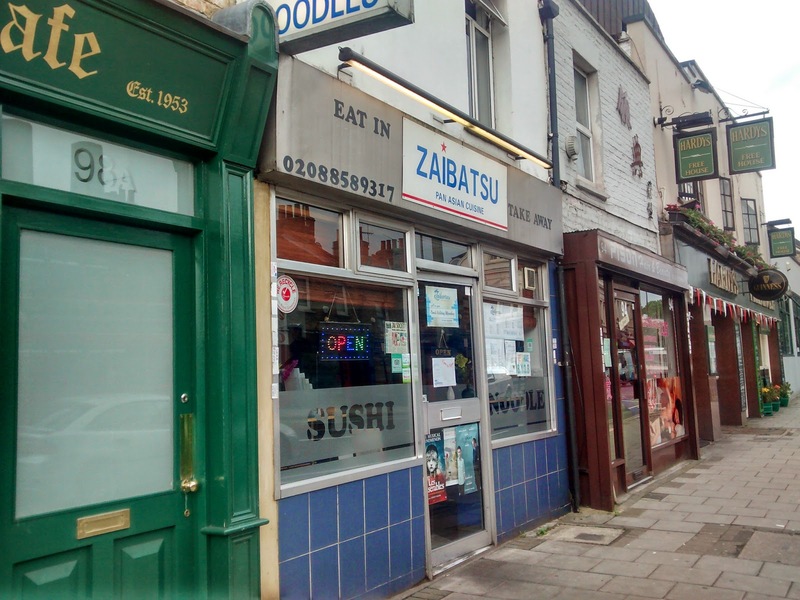 Trafalgar Road in Greenwich has never really been a particular culinary hotspot, with Greggs and KFC among its most-visited eateries, but there are a few highlights in the mix and Zaibatsu, squeezed between Trafalgar Cafe and the budget-friendly Hardy's Free House, is one such place, a Japanese fusion restaurant that has for some time been receiving rave reviews for its sushi, sashimi, noodles and tempura. Your author never claims to be an expert on such things, can state from long-term observation that Zaibatsu is almost always busy, even on a Sunday or Monday night, and on a recent visit the quality of the food was excellent, the staff friendly and helpful and the budget-friendly menu and bring-your-own policy very welcome. Readers should definitely consider visiting to form their own opinions.